Six plus hold'em, aka "short deck hold'em", has officially arrived. 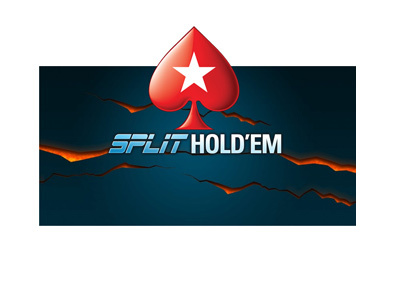 Earlier this week, partypoker revealed that they had launched "six plus hold'em". If you are looking for the game in their lobby, look for the games called "SHORTDECK". This comes a couple of months after Pokerstars also decided to launch the game on their site. Triton Poker, which is a poker series that caters to high net worth players, has been offering Short Deck events for a while now. In fact, a large percentage of their events are now Short Deck, as these tournaments are very popular with their clientele. The World Series of Poker has jumped on the phenomenon as well, as they will be offering a $10,000 Short Deck event this summer. Short Deck Hold'em originated in the high stakes cash games of Macau and other locales and has since been spread to the masses. In fact, it was Tom Dwan and Phil Ivey that helped to introduce the game to the general population. Prior to Dwan and Ivey taking the time to explain the game to people, knowledge of Short Deck Hold'em was confined to the high stakes tables in Macau. In short deck hold'em, 16 of the 52 cards are removed from the deck, as all of the 2s, 3s, 4s and 5s are taken away. The hands are ranked slightly differently as well, as a flush will rank ahead of a full house and a three of a kind will rank in front of a straight. Another key change - an Ace can act as a Five in the low end of a straight. Short deck hold'em creates a tremendous amount of action, which is why gamblers like the game so much. After all, in short deck hold'em, practically everyone has a playable hand after the flop. Will casual players end up picking up the game the same way that the high stakes pros have? That is the big question right now. Short deck poker may end up being a fad that fizzles out, though it would have been a very fun fad at the very least.